Coastal anglers are adventurers by nature. 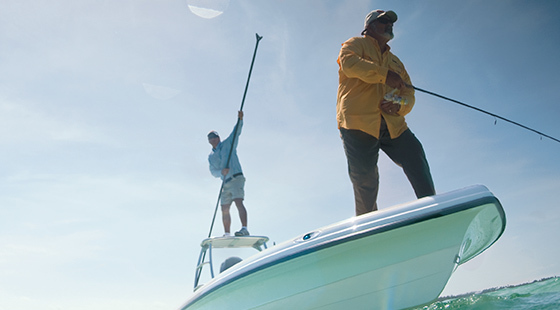 They crave the thrill and challenge of reeling in the world’s most coveted saltwater gamefish. This Father’s Day, give dear ol’ Dad all the on-the-water excitement he can handle with best-in-class fishing gear from Rapala® & Respected Rapala® Brands. From iconic lures and tough-as-nails tools designed specifically to withstand harsh saltwater elements to functional and stylish apparel that will keep him comfortable on the open sea, the following Father’s Day gift ideas are sure to kick Dad’s fishing fervor up a notch. Hand-tuned and tank-tested to ensure they’re ready to catch fish straight from the box, the new Rapala® X-Rap® Twitchin’ Minnow and X-Rap Twitchin’ Mullet swim just below the surface with a dynamic walk-the-dog action, making them the perfect choice for landing shallow-feeding inshore fish. 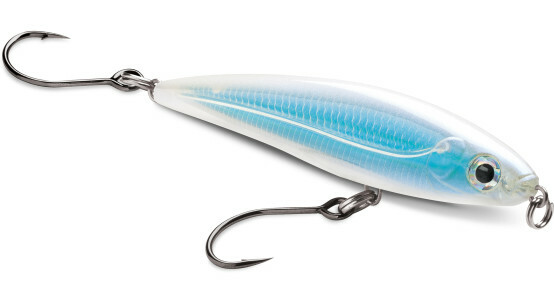 The lures’ slow-sink presentation will help Dad hit pay dirt when he employs a finesse glide-and-drop technique to place the baits into pockets where big fish love to ambush prey. Featuring translucent bodies and 3D holographic eyes, both models are equipped with groundbreaking VMC® Coastal Black™Inline Single Hooks, which are scientifically treated to last longer in corrosive saltwater elements and are also easier and safer to remove than treble hooks. Pick-up the Twitchin’ Mullet and the Twitchin’ Minnow in any of the 12 available color patterns and you’ll be locked and loaded for a successful Father’s Day. Dad’s most frustrating days on the water come when fish are hesitant to strike. When running into timid coastal fish, he can find success by giving his target species some space with the new Rapala® X-Rap® Long Cast and X-Rap Long Cast Shallow. 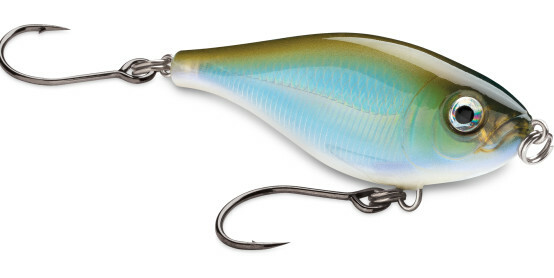 Built heavy and tough to help Pops cast extreme distances even in the most demanding conditions, these lures are especially effective when fished with a fast, steady retrieve that imparts a snaking, wobbling action. The Long Cast and Long Cast Shallow can also be fished with the legendary X-Rap Slashbait® action for a killer walk-the-dog presentation just below the surface. The X-Rap Long Cast features a diving lip and runs in the 4-to-5 foot water column and the X-Rap Long Cast Shallow swims between 1 and 2 feet, just below the water’s surface. 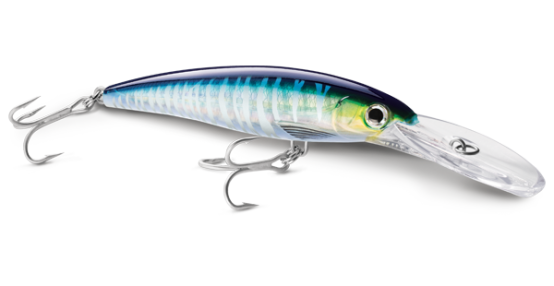 Both lures feature sleek, translucent X-Style bodies with 3D holographic eyes and are ready for action in 12 lifelike finishes. The baits’ ultra-sharp VMC® Tin Finish 4X-Strong Inline Single Hooks ensure that whatever fish bites it stays hooked. The adrenaline-pumping action of the Rapala® X-Rap® Magnum® is a tried and true saltwater lure that will bring the Old Man continued success when battling behemoth fish on the open sea. The bait combines an extreme action with a controlled, deep-diving, aggressive swimming motion created by its large diving lip. Boasting all the bells and whistles, big water patterns only complement the X-Rap Magnum’s brilliant construction. The lure features a textured translucent body with an internal holographic foil and 3D holographic eyes. Sure to be Dad’s new go-to lure, it is built saltwater tough with 3X split rings holding 4X VMC® Perma Steel® Treble Hooks. The X-Rap Magnum can be trolled 10-to-30 feet deep, depending on the model, as fast as 13 knots without rolling or kicking out, and is available in a wide variety of colors that are bound to make the big fish strike. Rapala® fillet knives will help Dad make easy work of even the most daunting filleting tasks, exceeding his expectations as a serious saltwater fisherman. Available in three versatile models — the Curved Fillet Knife, Straight Fillet Knife and Slim Fillet Knife — each knife features an ergonomically designed co-molded handle to provide a comfortable, relaxed grip for fatigue-free filleting. Every Rapala Salt Angler’s Fillet comes with a manually finished, rust-resistant blade honed by the skilled veterans at Marttiini, a legendary blade manufacturer that has produced Rapala knives since 1928. The knives’ world-renowned razor-sharp edges promise to take the hard work out of cleaning any saltwater species, from delicate flounder to big Yellowfin Tuna and every fish in between. Dad’s saltwater game will never be the same once he unwraps a premium-quality Rapala Salt Angler’s fillet knife this June. This Father’s Day, make sure your favorite fishing fanatic is ready for anything with new Rapala® Salt Angler’s tools, a collection of tough-as-nails accessories ready to withstand the corrosive elements coastal anglers battle each time they hit the water. Dad won’t have to worry about losing his “lucky Rapala lure” after receiving a pair of Rapala® Salt Angler’s Pliers. Not only can this handy tool easily reach deep hooked baits and other hard-to-reach hooks with ease, but it also comes with a line and hook side cutter. 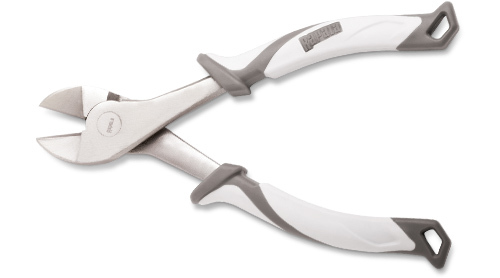 Another great option is the Salt Angler’s Double Leverage Pliers. When extra muscle is needed when removing hooks or crimping, this 9-inch pliers is designed to deliver better leverage, resulting in a 60 percent increase in power. Rounding out a trio of excellent gift options, Rapala’s Salt Angler’s Double Leverage Cutters also deliver a major power advantage and make cutting large hooks, line and leaders a breeze. This Father’s Day, show Pops you care by helping him look his best — on and off the water — with the gift that keeps on giving: stylish and functional apparel from Rapala® and Respected Rapala Brands. As comfortable as they are durable, these T-shirts, long-sleeve shirts, sweatshirts, hats and more will ensure Pops is dressed for success, whether he’s entrenched in a long fight with his latest trophy fish or just relaxing on the beach. 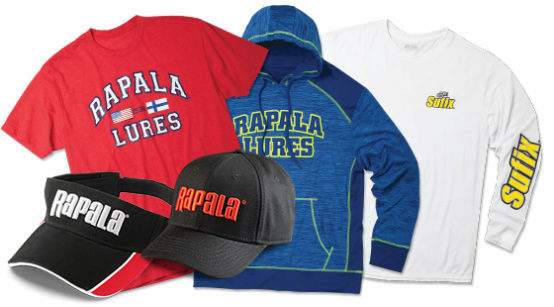 Rapala and Respected Rapala Brands apparel offers the right fit for both sunny and inclement weather, so Dad can plan for any situation. And, with overnight shipping available (if ordered before 1 p.m. CDT), you’ll have these great gifts in-hand in no time, even when you order at the last minute. This entry was posted in Rapala and tagged Rapala, Salt Angler’s Fillet Knives, X-Rap® Long Cast, X-Rap® Magnum®, X-Rap® Twitchin’ Minnow, X-Rap® Twitchin’ Mullet. Bookmark the permalink.